Inspections - Fraser Valley Fire Protection Inc.
We lift the burden of scheduling and compliance off your shoulders. Fraser Valley Fire Protection keeps an up-to-date and detailed computerized history of all your fire protection equipment. Whether it’s your fire alarm system, fire suppression system, emergency lighting, fire extinguishers, fire hydrants, backflow preventers or other fire safety equipment, we will contact you well in advance of any upcoming inspections or testing to notify you and to schedule a timely and convenient appointment. Our certified ASTTBC trained professionals understand their respective disciplines. There inspections certify that your fire protection equipment satisfies the requirements of local authorities in your jurisdiction. Complete detailed reports are provided in a timely manner to ensure you get the information you need. Fire Extinguishers: Pressure, hose and nozzles, and ensure cylinder is up to date inspection. 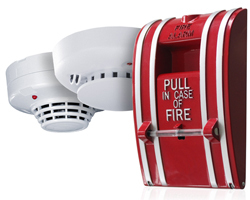 Fire Alarm: Inspect the control panel, detectors, manual pull stations, and audible devices. Wet/Dry Sprinklers: Valve operation and sprinkler coverage inspection. Fire Hydrants: Leak and proper working condition inspection. Emergency Lights: Batteries, exit lights and one-year certification inspection. Commercial & Industrial Kitchen Suppression Systems: Nozzles, fusible links, proper system installation and operational inspection. Clean Agent Suppression System: Complete function inspection. Backflow Preventers: Proper installation and leak inspection.